Dr. Hohler joined St. Elizabeth’s Medical Center from Boston Medical Center in November of 2017 as the first female Chair of Neurology. She also serves as Director of Medical Student Education for Steward Health Care. She is the Assistant Dean, St. Elizabeth’s Medical Center Affiliate Site, and an Associate Professor of Neurology at Boston University School of Medicine (BUSM). 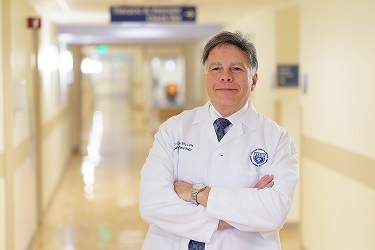 At BUSM and Boston Medical Center, Dr. Hohler served as the Director of Quality Improvement for Neurology, the Director for Global Health Neurology, the Assistant Dean for Strategic and Affiliate Relations, and the Founding Director of the Boston University Center for Military and Post-Deployment Health. In addition, her various leadership roles included Director of Neurology Medical Student Education and Director of Resident and Medical Student Research Programs. Prior to that, at Madigan Army Medical Center (MAMC), Dr. Hohler served as the Neurology Residency Program Director and the Neurology Clinic Chief. Dr. Hohler completed her undergraduate and her medical degree at Boston University in the seven-year accelerated medical program. She then completed her internship and residency in Neurology at MAMC in Tacoma, Washington. After eight years of distinguished military service in the U.S. Army, she was honorably discharged having achieved the rank of Major. She then completed a Fellowship in Movement Disorders at Boston Medical Center and served there for 11 years. Dr. Hohler received numerous awards and recognition throughout her career, including Army Commendation, Army Achievement, and Meritorious Service Medals for academic and leadership excellence. She received the Col. Robert Skelton Award for Top Resident at MAMC, the American Academy of Neurology National Outstanding Teacher Recognition Award, and the Stanley Robbins Award; the highest teaching honor in all of BUSM. In 2016, she received the Burton A. Sandok National Neurology Educator of the Year Award by the Mayo Clinic. Dr. Hohler has been on the international frontlines in the field of neurology for 20 years. She serves as a congress participant with the World Federation of Neurology and regularly presents at the International Parkinson and Movement Disorders Society. She lectures internationally on neurological, movement, and autonomic disorders. Dr. Hohler’s areas of special research and clinical interest include movement disorders, autonomic diseases, deep brain stimulation programming, and botulinum toxin administration. 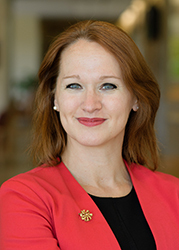 In addition to her numerous clinical, academic, and administrative responsibilities, Dr. Hohler is also an Associate Editor for Continuum and serves as a reviewer for numerous journals, including Neurology, Neurology Clinical Practice, and Parkinson’s and Related Movement Disorders. Dr. Hohler has authored over 50 manuscripts, reviews, chapters and quality improvement measurement sets. Dr. Weinberg is an experienced and regionally renowned neuromuscular disease expert with broad experience with a variety of nerve and muscle diseases. His major clinical and research focus has been the care of patients with Myasthenia Gravis, but his practice is not limited to this unusual muscle disease. He has published research papers and book chapters on a wide range of neuromuscular disease topics. Dr. Weinberg is Vice-Chair of the Department of Neurology and Director of the Neurophysiology Lab at St. Elizabeth’s Medical Center. He is an Associate Professor of Neurology at Tufts University School of Medicine. He serves as a member of the Medical/Scientific Advisory Board of the Myasthenia Gravis Foundation of America and Chair of the Medical Advisory Board of the Myasthenia Gravis Association of New England. He is a former President of the Massachusetts Neurological Association. 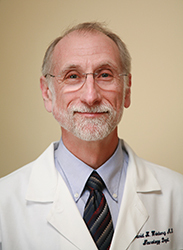 Dr. Weinberg received his medical degree from the University of Pennsylvania and completed his Neurology residency and fellowship at Tufts Medical Center. His expertise has been acknowledged by the community and his peers through such honors as being named as a Boston Magazine “Top Doc”, a Best Doctors “Best Doctor in America”, a Consumers’ Research Council of America “America’s Top Physicians” among many others. Dr. Krishnamurthy is an experienced epilepsy specialist with numerous areas of expertise. She is the Director of Epilepsy for St. Elizabeth’s Medical Center. She joined St. Elizabeth’s from Beth Israel Deaconess Medical Center (BIDMC) where she established the Women’s Health in Epilepsy multidisciplinary comprehensive program. Her evaluations of anticonvulsants during the menstrual cycle have been novel and impactful. This program won the Team Award for Excellence in Patient-Centered Care from BIDMC. She has an active role in the Epilepsy Foundation serving on numerous committees and as the Chair of the Professional Advisory Board. Dr. Krishnamurthy has developed and organized a number of educational initiatives. As the Office of Faculty Development Chair of the Subcommittee for Women, she organized a mentoring training, implementation, and evaluation program. She made important contributions to education with the development of an epilepsy curriculum for residents and medical students. Dr. Krishnamurthy also developed an ethics curriculum and served as a member of the Ethics Support Team. This work in ethics led to regional and national presentations, and written contributions. At St. Elizabeth’s Medical Center, Dr. Krishnamurthy is the ethics lead for Neurology. Dr. Krishnamurthy has been active in over 40 clinical trials related to epilepsy. 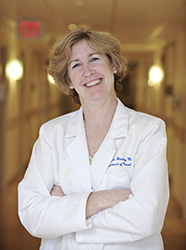 She was the Vice-Chair of the IRB at BIDMC and was the Director of the Human Subjects Protection Office. In that role, she created a four-part research curriculum and oversaw the accreditation of the human subjects protection program. 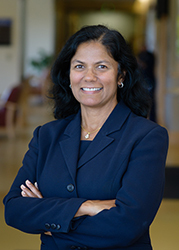 Dr. Krishnamurthy received her medical degree from the University of Maryland School of Medicine and completed her Neurology internship at Yale and her residency at the Harvard-Longwood Area Neurology Program. She was the Chief Resident in the Harvard Neurology Program and completed her Clinical Neurophysiology Fellowship at Beth Israel Hospital. She received numerous awards, including the William Alexander Hammond Award for Excellence in Neurology and was a Maryland Distinguished Scholar. In addition, she has published numerous articles, chapters, editorials and abstracts on novel topics in epilepsy. Dr. Hinchey is the Director of the Stroke Program at St. Elizabeth’s Medical Center and manages the inpatient evaluation and treatment protocols and procedures, and helps to direct the stroke quality insurance initiatives. She is the representative for the State Stroke Consortium and is an Assistant Professor at Tufts University School of Medicine. Dr. Hinchey also serves on the Quality and Outcomes Committee of the American Stroke Association. At St. Elizabeth’s Medical Center, Dr. Hinchey is also the site director for neurology resident education. In this role, she develops the teaching program for the residents for their rotations and facilitates their experience. She serves on the Tufts Resident Selection Committee and also serves on the Tufts Residency Review Committee. Dr. Hinchey has been involved in numerous stroke clinical trials and has worked on policy development for stroke both locally and nationally as a member of the American Academy of Neurology. In addition, she served as the neurology representative for the American Medical Association Consortium for Physician Improvement. She received the Kasdon Award as a student because of her distinguished neurology promise, the Clinical Translational Research Award from St. Elizabeth’s Medical Center, and a Best of Boston Neurology Award for several years. Dr. Hinchey has published numerous peer-reviewed articles, chapters, reviews, and abstracts on stroke. Dr. Nguyen is Director of the Neurointerventional Service at St. Elizabeth's Medical Center. She is skilled in the treatment of intracranial aneurysms, arteriovenous malformations/dural arteriovenous fistula of the brain and spine, and large vessel occlusion stroke. 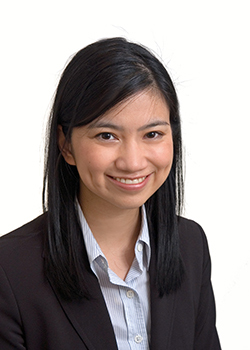 After receiving her medical degree from McGill University Faculty of Medicine in Canada, Dr. Nguyen performed her neurology residency at Massachusetts General Hospital and Brigham and Women's Hospital in Boston. Following her fellowship in vascular neurology and neurocritical care at Massachusetts General Hospital, she completed a fellowship in interventional neuroradiology (INR) involving more than 1,000 INR procedures at Centre Hospitalier de l'Universite de Montreal with the internationally renowned experts Jean Raymond and others. She has now been involved in a total of more than 3,000 INR procedures, including more than 500 brain aneurysm interventions (coilings/flow diversion) and 300 acute stroke interventions. Dr. Nguyen has authored more than 80 peer-reviewed publications, contributed to national guideline statements and book chapters. She was awarded Fellow of the SVIN (FSVIN) in 2012 based on her contributions to the field of Interventional Neurology. She was awarded Fellow of the AHA (FAHA) in 2018. Dr. Nguyen was awarded Boston Magazine Top Doctor in Neurology for 2017, 2019, Be Exceptional Award for Boston Medical Center in 2018, and SVIN Distinguished Service Award in 2018. 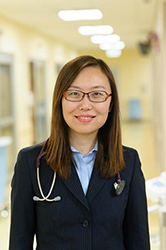 Dr. Geng is a neurohospitalist and devotes her time to ensuring that the neurology inpatients are optimally managed in the emergency department, on the wards, and in the hospital. She helps to develop protocols for care and serves as a primary point person for resident education. Dr. Geng serves as a liaison between neurology and the other specialties in the hospital providing a link to facilitate optimized care. Dr. Geng completed her Ph.D. in neuropathology at the University of Alabama at Birmingham. She completed her medical training at Peking University School of Medicine, her residency in neurology at the University of Chicago Medical Center, and neurophysiology fellowship at Beth Israel Deaconess Medical Center. She is the author of several peer-reviewed publications and is a member of the American Academy of Neurology and the American Epilepsy Society. Dr. Geng received a first prize for scholarship as a medical student and several pathology awards, including the American Society for Investigative Pathology Trainee Award, the Histochemical Society Trainee Award, and the American Society for Investigative Pathology Experimental Pathologist in Training Merit Award. Theresa A. (Terry) Barden, RN is our Nurse Specialist in the Epilepsy and Women’s Health Program. She works alongside Dr. Kaarkuzhali Krishnamurthy in evaluating patients in clinic, overseeing medical testing, lab work, prescriptions, social circumstances and providing emotional support. She also works with patients with Vagal Nerve Stimulators. 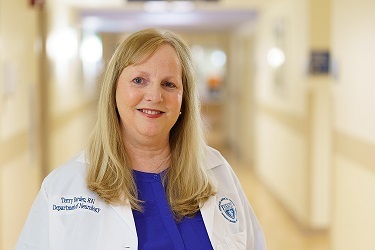 Terry has spent the majority of her career working in Neuroscience on an in-patient Neuro floor and Neuro stepdown unit at Beth Israel Deaconess Medical Center in Boston (BIDMC). Her experience includes working with stroke, brain tumor, movement disorder and seizure disorder patients. She also started an outpatient program called CyberKnife at that facility which was for inoperable and palliative cancer patients. At BIDMC, she was fortunate to be nominated by her peers and to win two Excellence in Nursing Awards. She served as a Nurse Consultant for North Suffolk Mental Health Association and developed policies and procedures for the agency based on the Department of Public Health guidelines. Prior to becoming a nurse, Terry worked in residential settings with developmentally delayed and mentally ill adults. For many years, she served on the Human Right Committee for Transition Resources, Inc, another non-profit agency that provided services to DMR/DMH individuals. She attended Northeastern University and Somerville Hospital School of Nursing and had the privilege of being a member of their last graduating class. In addition to seeing patients at St. Elizabeth’s, she also holds clinic at locations in Weston, Quincy and Methuen. Keith J. Ciccone is a nurse specialist working in collaboration with Dr. Anna Hohler providing nursing care, assessment, telephone triage, coordinating community resources and services, and facilitating the Deep Brain Stimulation programming. Keith has almost two decades of experience working with patient and families with Parkinson’s Disease, Essential Tremor, Movement Disorder, Epilepsy and Cognitive Impairment. He has more than 13 years of experience in Deep Brain Stimulation, coordinating pre- and post-surgery care, as well as DBS programming management. Since 2005, Keith has served as co-facilitator for the American Parkinson’s Disease Association monthly support group for Parkinson's patients with Deep Brain Stimulation. Keith received his Bachelor of Science in Music Therapy with a minor in Psychology from Anna Maria College in Paxton, MA. He received his Nursing diploma from Chelsea Soldier Home School of Nursing. He was the recipient of Outstanding Young Men in America Award, the Student Nursing Leadership Award, the Salvatore A. Esposito, Sr. Award from the American Parkinson Disease Association, and the 2010 Chairman’s Award. He is involved in numerous non-profit organizations including serving as the past president of the Massachusetts Chapter of the American Parkinson Disease Association.